Welcome to Rochester's 4th Annual SQLSaturday! Free* SQL Server training! Chance to win great prizes! What more could a SQL Server Professional ask for? If this sounds good to you then don’t miss your opportunity to attend SQL Saturday #383, the largest FREE* training event dedicated exclusively to SQL Server Administration, Development and Business Intelligence to hit Rochester, NY. * There is a modest $10 fee for lunch. SQLSaturday Rochester (#SQLsatROC)? What is it? Why should you sacrifice a Saturday in Upstate NY? When is it? Where is it? How do I get involved? Let us fill you in. What: This is a one day training event for SQL Server (BI, DBA & Developer) professionals and those wanting to get some intensive technical learning. Why: It is a great opportunity to learn from people who have been there and to network with other professionals doing the same thing you are doing. This professional level training and networking can set yourself apart from others! When: Saturday, May 16, 2015. Register online now to reserve your spot now. Attendee check-in will begin at 8:00am until 8:45am and the first sessions begin at 8:45am. Where: Rochester Institute of Technology, 1 Lomb Memorial Drive, Rochester, NY 14623. A map of the campus can be found here. Parking for the event will be in the J Lot and the T Lot. How: All you have to do to get involved is Register online to reserve your spot. Show up and attend the sessions that you like. So what are you waiting for? Register today to be a part of SQLSaturday #383! We are pleased to announce 2 very special ALL DAY sessions on Friday, May 15th from 8:30 am - 5:00 pm. At only $139, this is the best deal you will ever find on an entire day of technical training. Early bird pricing is an even better deal at only $119, so register early! Microsoft MVP and VMware vExpert David Klee leads this full-day introduction to enabling and managing a virtualized SQL Server environment. The focus of the course is to help those new to virtualization and/or infrastructure concepts to become familiar with the concept and purposes of virtualization and how it can benefit them as data professionals. Participants will gain exposure to all layers of virtualization underneath SQL Server, from storage to hypervisor to the SQL Server instance, and will learn how to construct the entire stack with the focus on SQL Server performance. Presenter: Microsoft MVP and VMware vExpert, is a SQL Server performance and virtualization expert. With over seventeen years of IT experience, David spends his days handling performance and HA/DR architecture of physical and virtualized mission critical SQL Servers as the Founder of Heraflux Technologies. 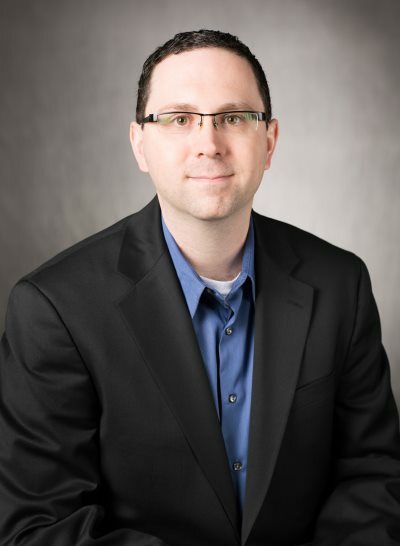 His areas of expertise are virtualization and performance, datacenter architecture, and business process analysis. You can read his blog at davidklee.net and reach him on Twitter at @kleegeek. David speaks at a number of national and regional technology related events, including the SQL PASS Summit, VMware Partner Exchange, IT/Dev Connections, SQL Saturday events, SQL Cruise, SQL PASS virtual chapter webinars, and many SQL Server User Groups. Presenter: Bill Pearson, MVP (SQL Server BI), CPA, CITP, CMA, CIA, MCDBA, MCSE, is a consultant, author, mentor and business intelligence architect who has been working with business intelligence for over 18 years, and with the integrated Microsoft Business Intelligence solution since its inception. Bill has been awarded the Microsoft Most Valuable Player multiple times for his technical experience implementing Microsoft BI, as well as his contributions to the community as an author and speaker. Bill’s recent series’ include the Stairway to MDX and Stairway to PowerPivot and DAX columns at SQLServerCentral.com, and he presents regularly at SQL Saturdays and other diverse events all over the United States and elsewhere. High Availability and Disaster Recovery (HA/DR) is an area that every SQL Server DBA needs to be comfortable with. In this full-day workshop, learn what needs to be considered when embarking on a HA/DR project, the different features and technologies available in SQL Server, and implement them accordingly to meet service level agreements of mission-critical databases. Presenter: Edwin M Sarmiento is a Microsoft SQL Server MVP and Microsoft Certified Master from Ottawa, Canada specializing in high availability, disaster recovery and system infrastructures running on the Microsoft server technology stack ranging from Active Directory to SharePoint and anything in between. He is very passionate about technology, but has interests in music, professional and organizational development, leadership and management matters when not working with databases. He lives up to his primary mission statement - "To help people grow and develop their full potential as God has planned for them"